For us non-residents, walking through the old city of Paris can feel like going back in time. 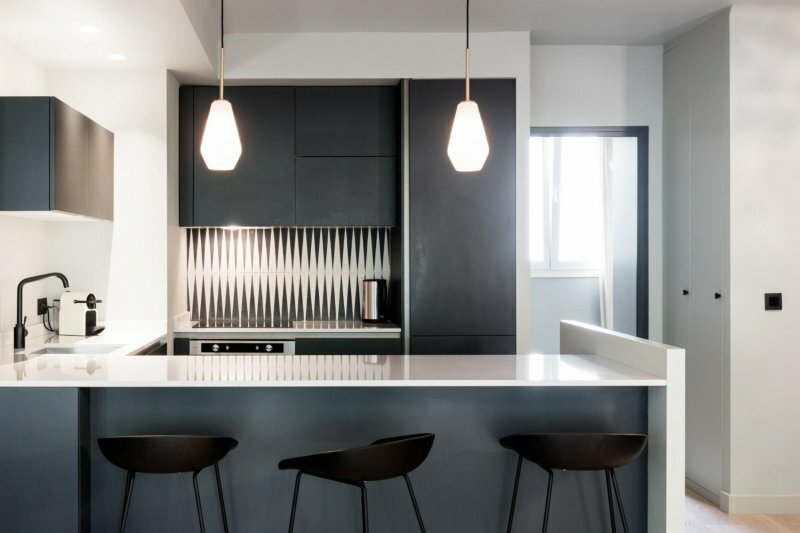 You might even be surprised that behind classy facades oozing with old-world charm lie some of the city’s most modern apartments. And even better: You can call one of them home on your next trip to the French capital. 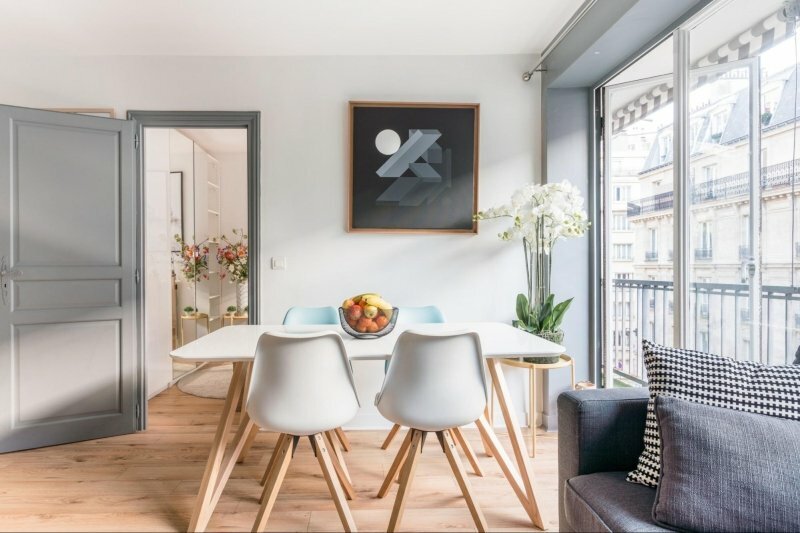 We’ve narrowed down a selection of Paris Airbnbs close to must-see landmarks like the Eiffel Tower and the Champs-Elysees, as well as famous neighbourhoods like Montmartre and Le Marais. 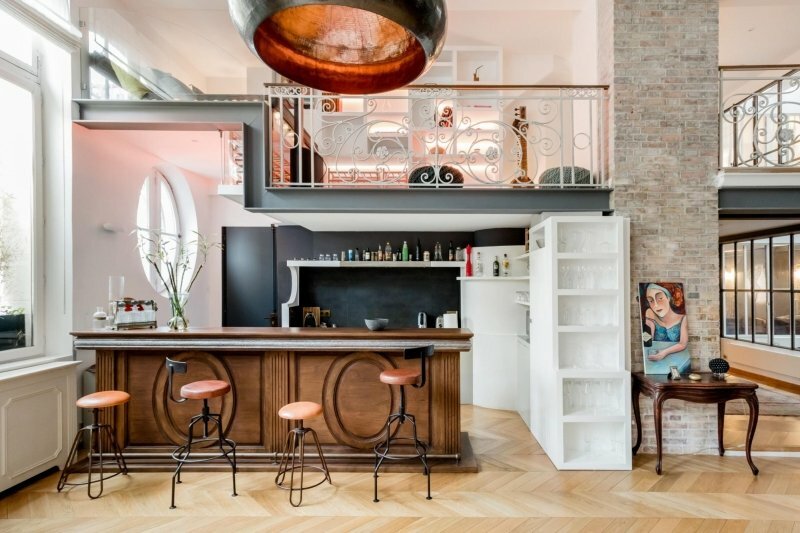 Check out our list of the top 10 Paris Airbnbs below — we guarantee they’re all très chic! 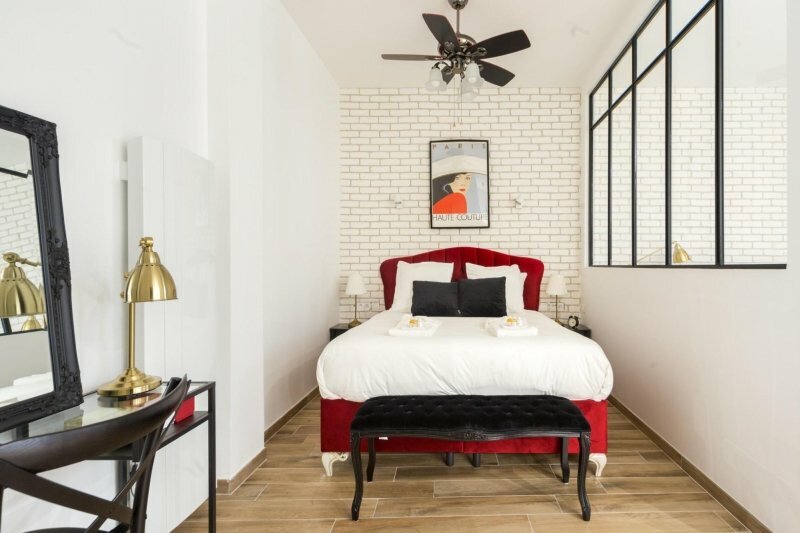 Just off the Champs-Élysées, this loft is a reasonably priced pick for couples vacationing in the City of Lights. 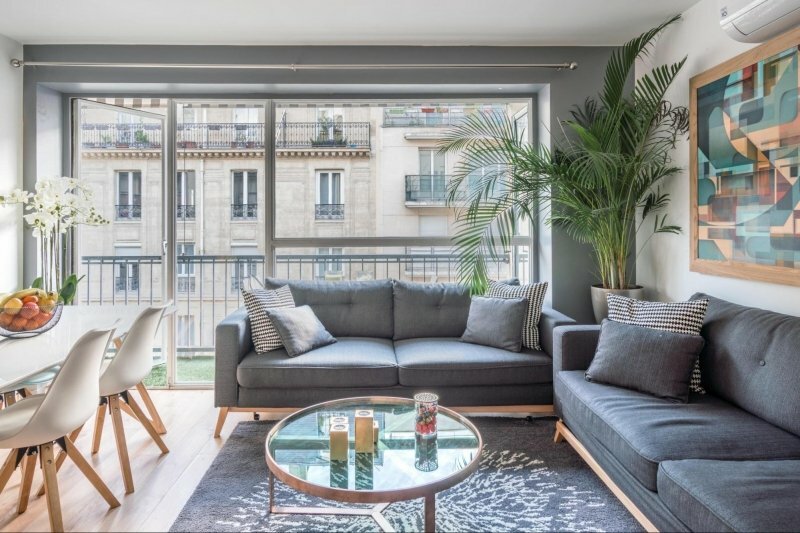 Guests will love this apartment for its proximity to the famous Eiffel Tower and Arc de Triomphe, as well as the metro station. 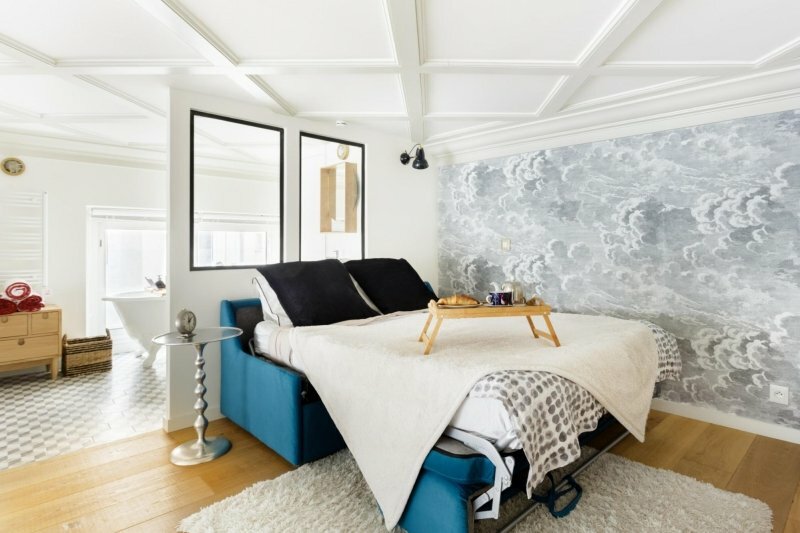 Of all the cosy elements in this romantic Airbnb, the jacuzzi for two will definitely be your favourite! Learn more about this Airbnb here. 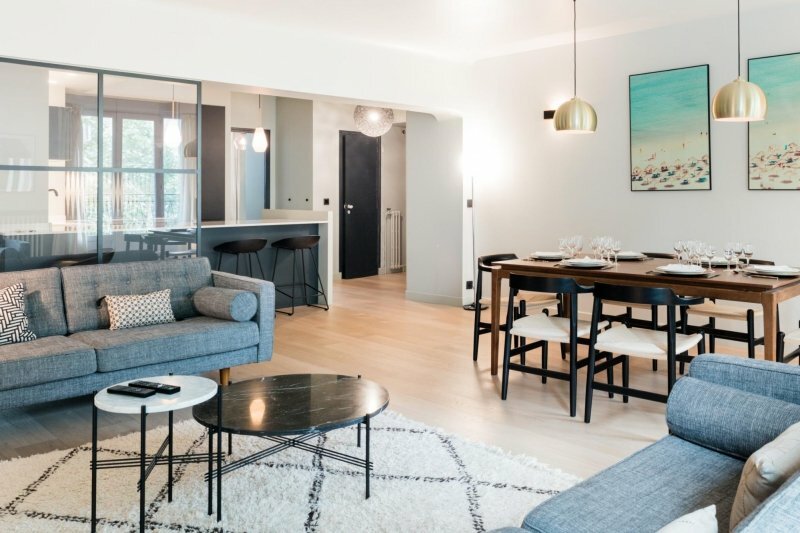 This two-bedroom apartment in Montmartre is as dreamy as the charming hilltop neighbourhood itself. Close to the famous Sacré-Cœur Basilica, it’s also just steps away from the metro and a short walk from the Champs-Élysées. 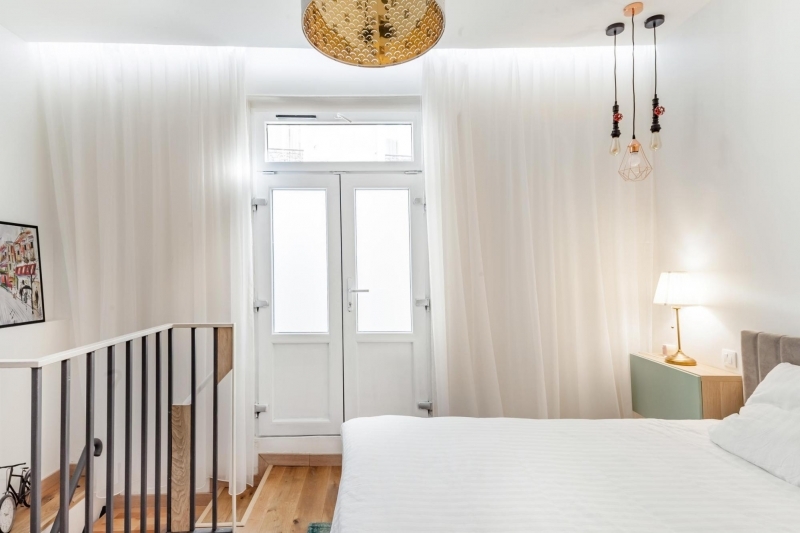 With enough room for four guests, this Airbnb is a steal for those travelling in small groups! Learn more about this Airbnb here. 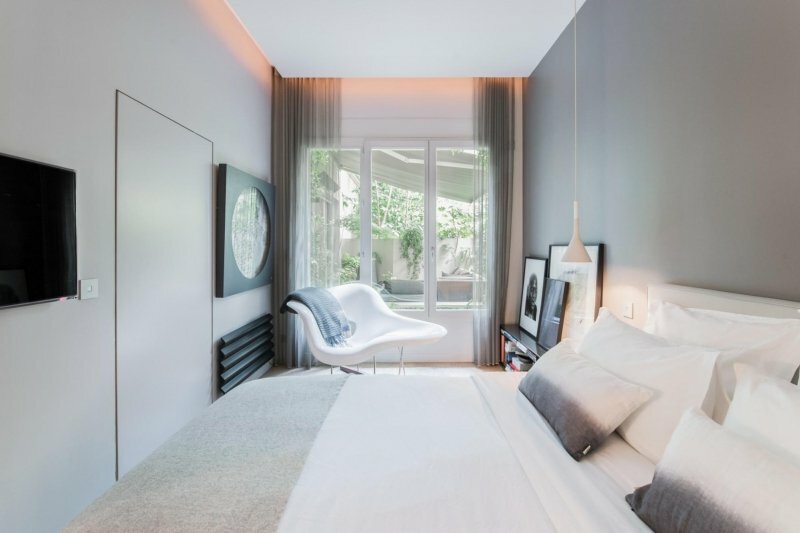 This artsy three-bedroom apartment in Paris’ 7th arrondissement is just 20 minutes away from the iconic Eiffel Tower. Meanwhile, a 20-minute stroll in the opposite direction will get you to the Louvre — the world’s largest art museum. 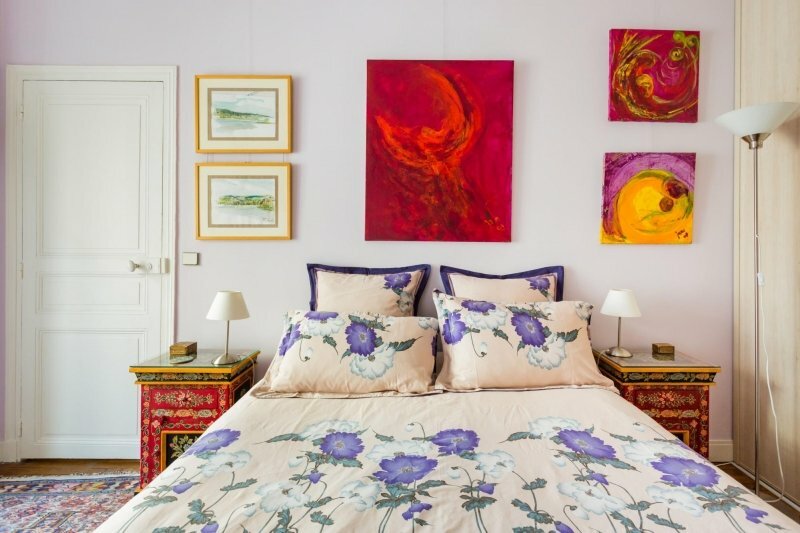 This family-friendly Airbnb’s superhosts, Jasmine and Rafic, are an artist and interior designer, respectively — and we can truly tell through its colourful design and cheerful, homey environment. Learn more about this Airbnb here. 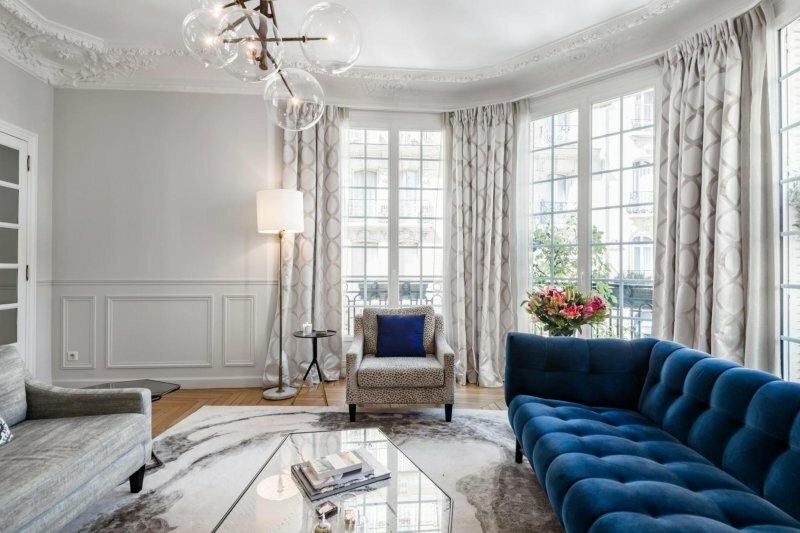 Located in an upscale neighbourhood by Saint-Agustin Church, this apartment is close to some of Paris’ most sophisticated sights, such as the Palais Garnier and the Galeries Lafayette. 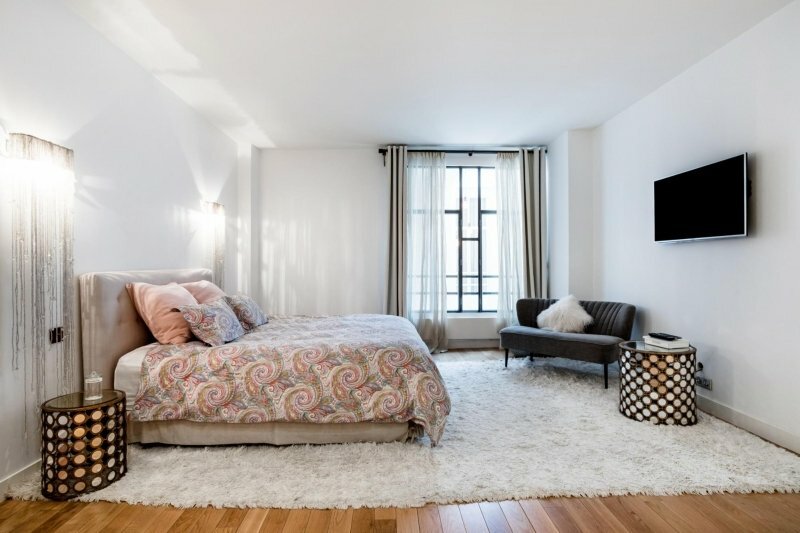 Make the most of this spacious apartment and its relaxing ambience. 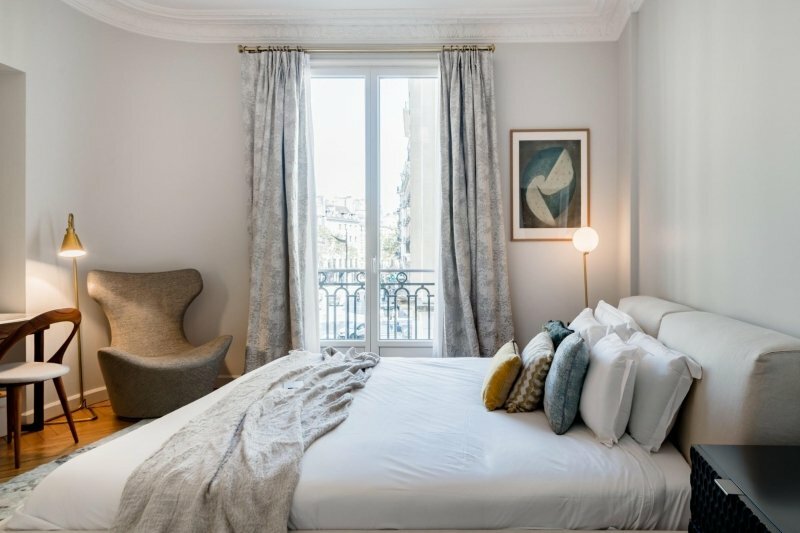 The cosy bedrooms and living room provide the utmost comfort — ideal for guests coming home from a long day of exploring Paris on foot! Learn more about this Airbnb here. 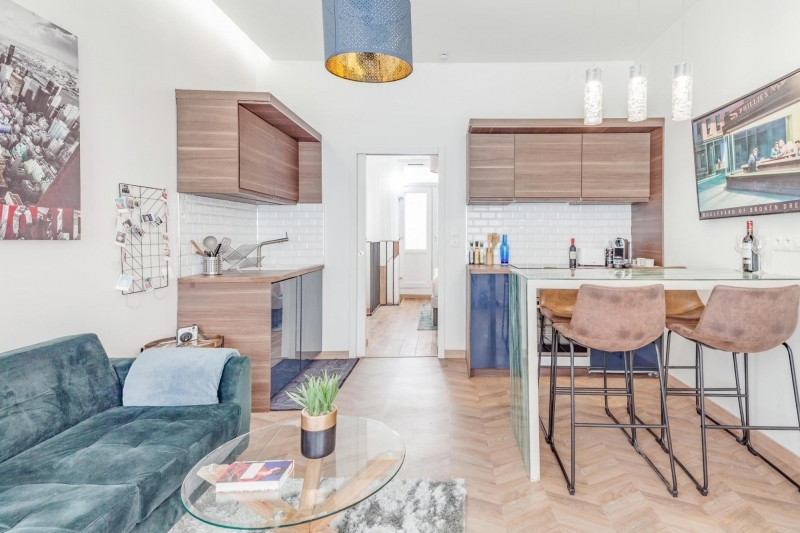 This one-bedroom apartment is tastefully designed, with a gorgeous living room and cosy balcony — the perfect spot to enjoy your morning coffee. 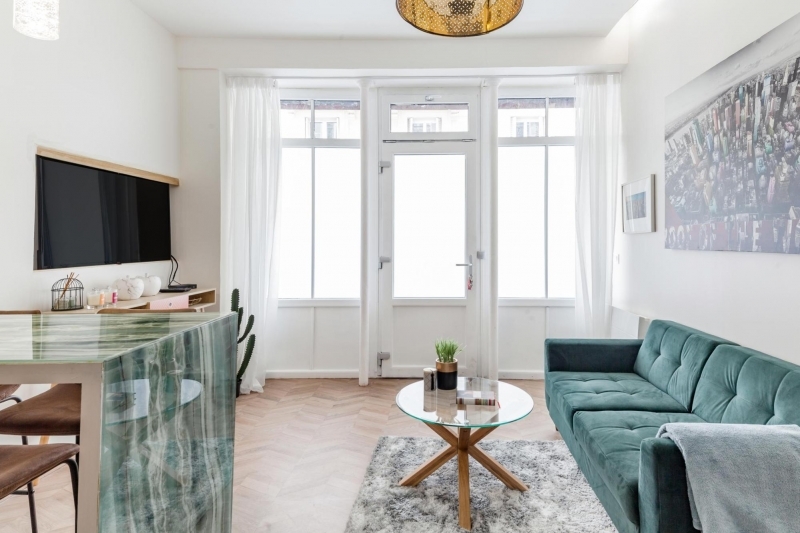 Situated right in the heart of Paris, this Airbnb is just a five-minute walk to the Eiffel Tower. Thanks to its ideal location, you can relax at the gorgeous Champ de Mars gardens anytime you feel like it — it’s a great place to watch the sunset and the nightly Eiffel Tower Light Show! 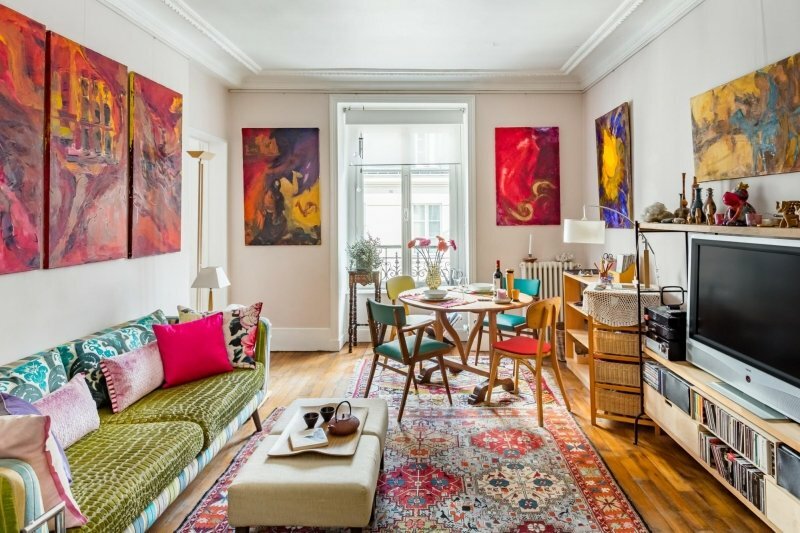 Learn more about this Airbnb here. 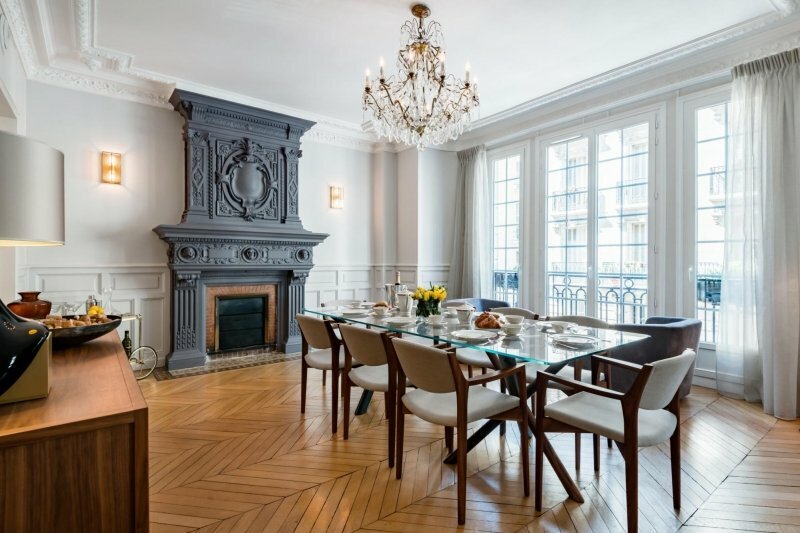 Live like the Parisian elite at this luxurious Airbnb! 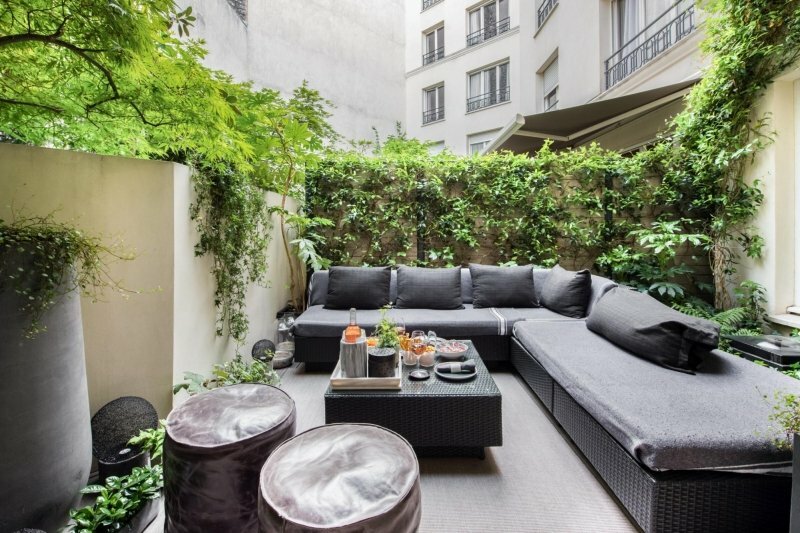 This lavish home is located in Saint-Germain, one of Paris’ chicest neighbourhoods — a pricey pick, but definitely worth the splurge! 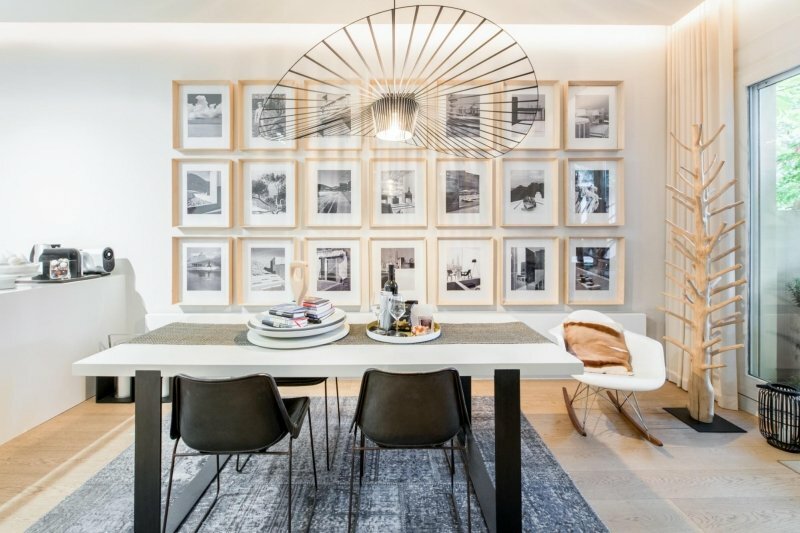 At 1,700 square feet, it takes up the entire third floor of a Haussmann building. 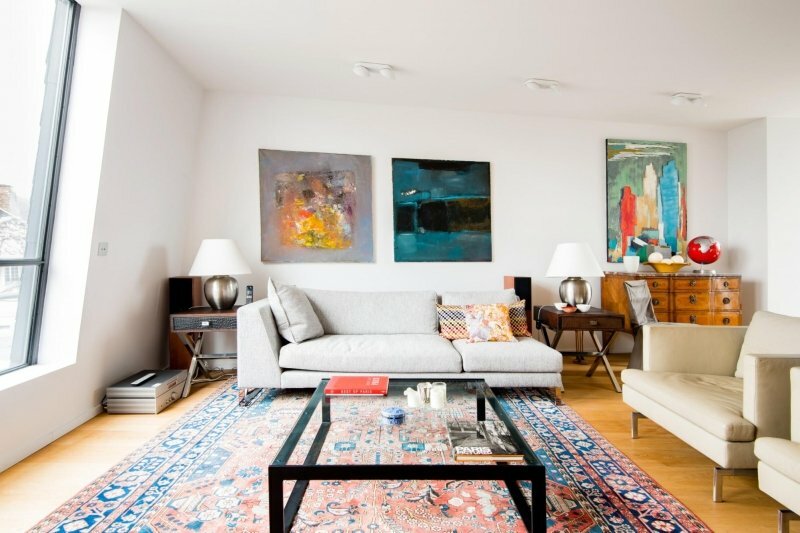 With its beautiful high ceilings and floor-to-ceiling windows, this apartment is a cross between modern and old-world. Très sophistiqué! 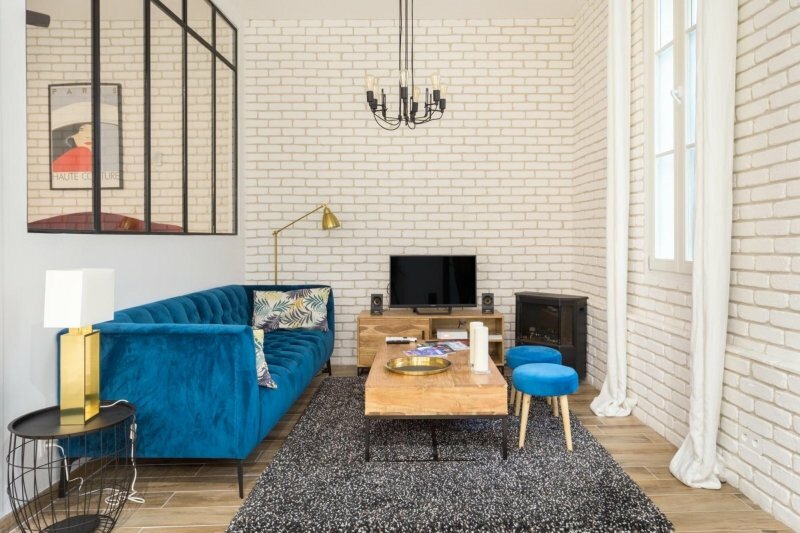 Learn more about this Airbnb here. 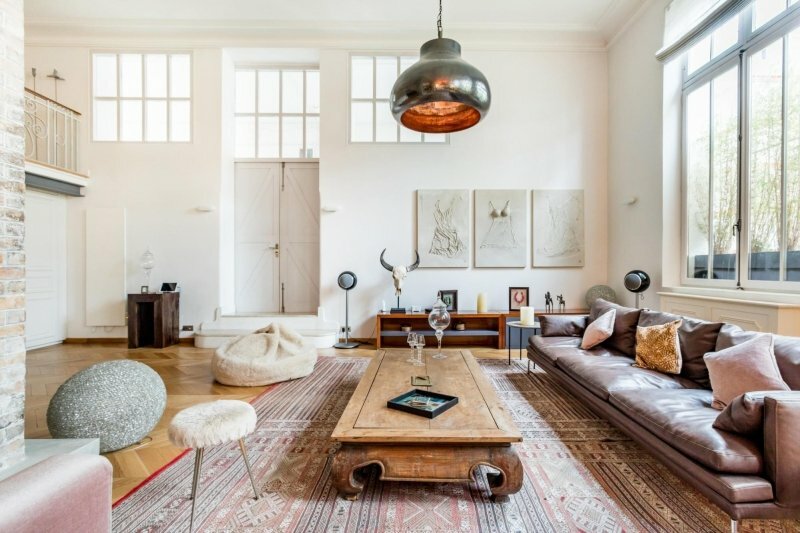 This penthouse apartment is located in Le Marais, one of Paris’ oldest and most fashionable neighbourhoods. 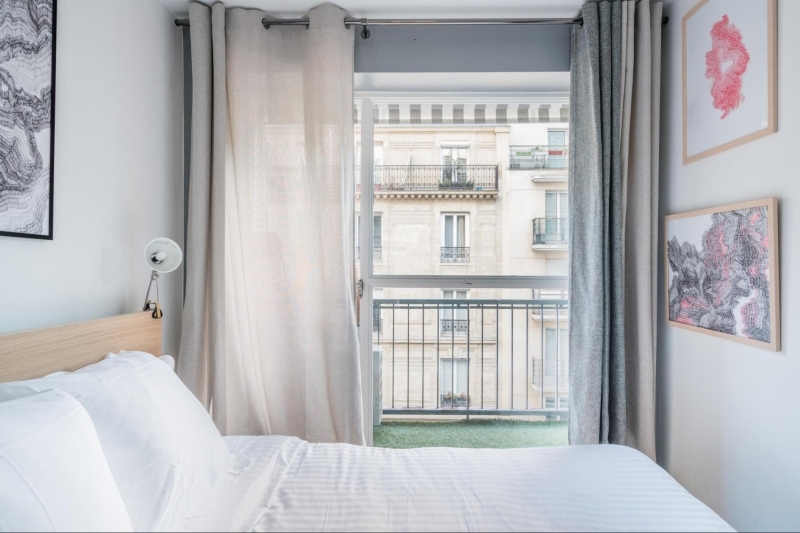 In addition to its bright, beautiful bedrooms and living spaces, this Airbnb also comes with a terrace, from which you can see landmarks like the Eiffel Tower and Sacré-Cœur. Treat yourself and your loved one to an intimate al fresco dinner and enjoy panoramic views of the city! Learn more about this Airbnb here. 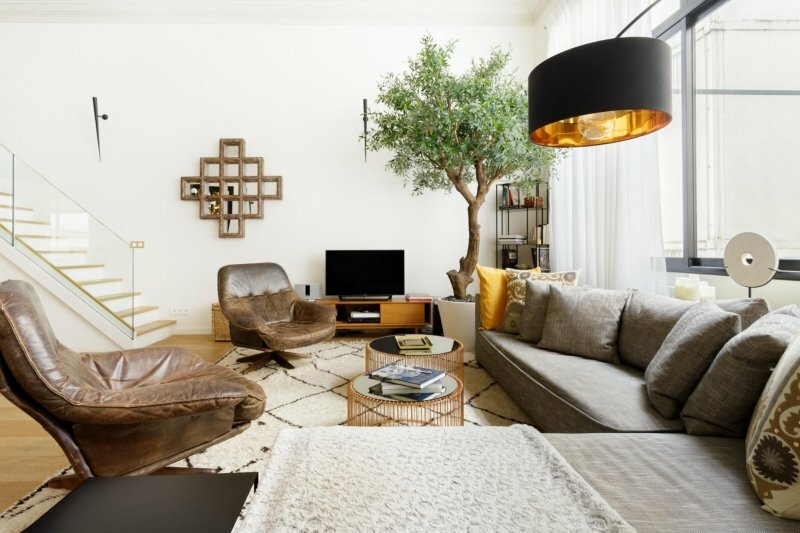 This luxurious apartment in Le Marais is equal parts cosy and chic. With two stylish bedrooms, a beautiful well-lit living room, and a kitchen with three different coffee makers, what more could you ask for? It’s even close to some of the best restaurants you’ll find in Paris! Learn more about this Airbnb here. 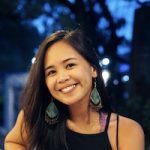 Previous guests have only good things to say about this Airbnb and its superhost, Manuel! 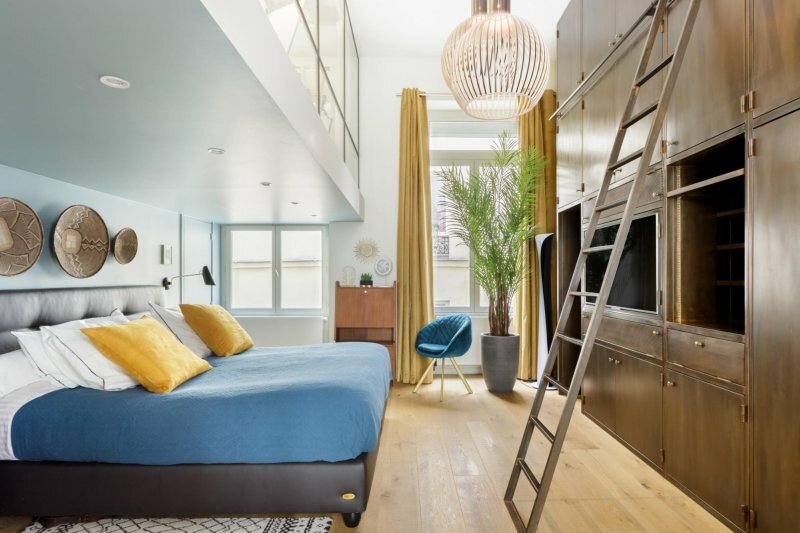 Based on this Airbnb’s great reviews, he has definitely lived up to his promise to provide guests with five-star amenities — and more! 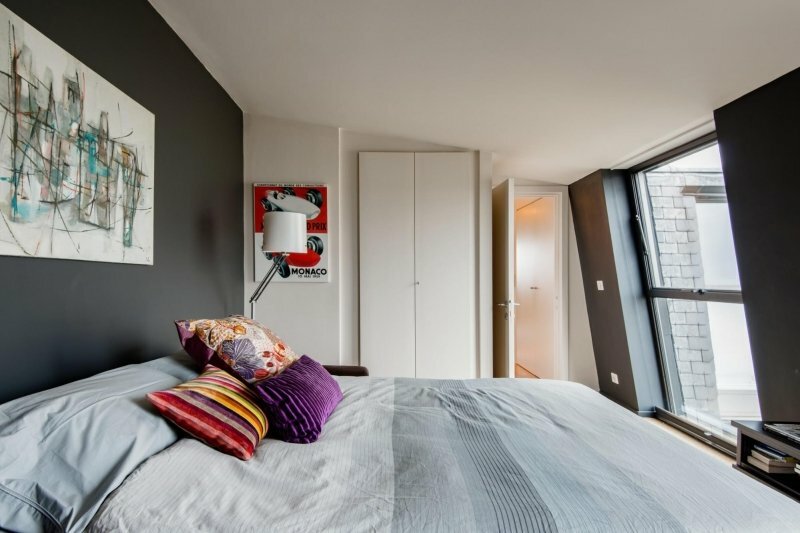 This loft is a peaceful escape from the buzz of the city despite being located in the bustling, trendy neighbourhood of Bastille. The beautiful garden patio is a relaxing oasis you shouldn’t miss out on! Learn more about this Airbnb here. 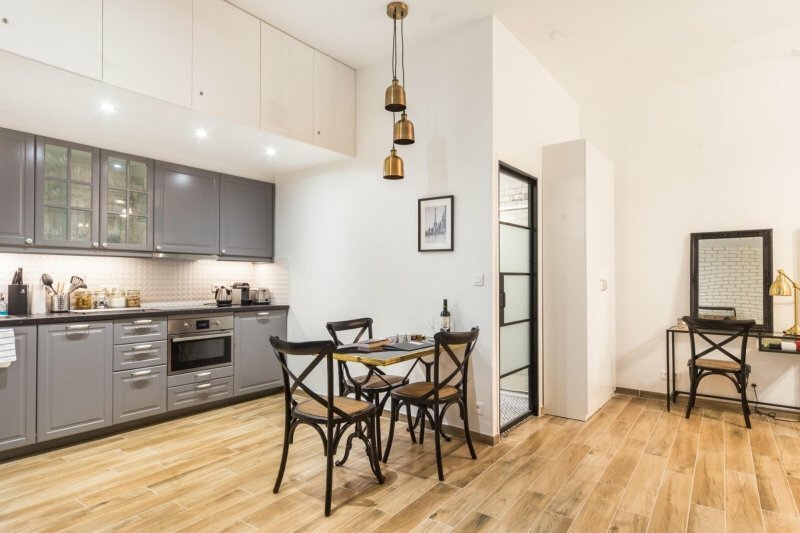 This three-bedroom loft apartment is located in the Latin Quarter, which is home to the Sorbonne University and Shakespeare & Company, the world’s most famous independent bookstore. 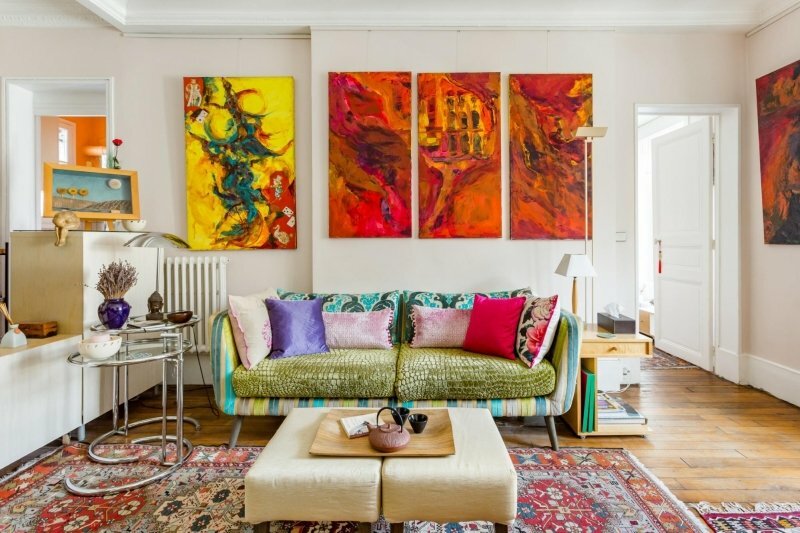 With lots of artful touches and big open spaces, this Airbnb feels like an art gallery. 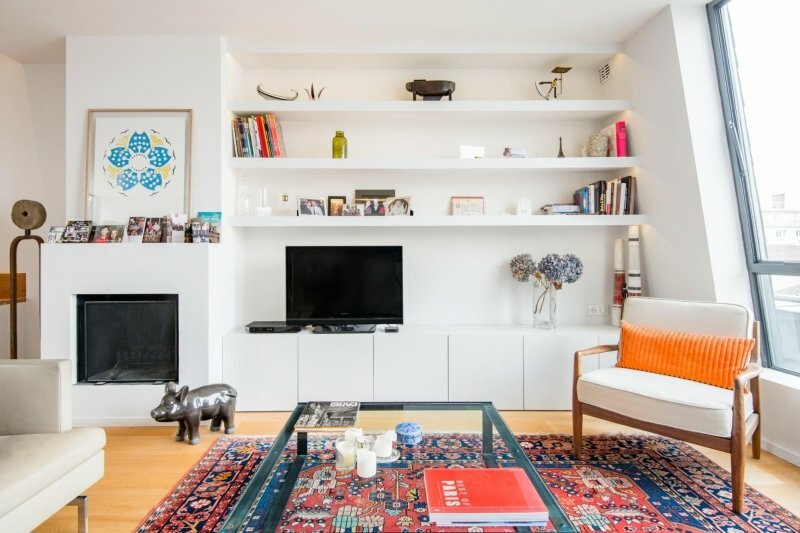 You’re sure to enjoy every inch of this beautiful home, so much so that you’ll probably want to spend as much time indoors as you will exploring the city! Learn more about this Airbnb here. We hope you find the perfect place to call home on your next trip to the City of Lights! 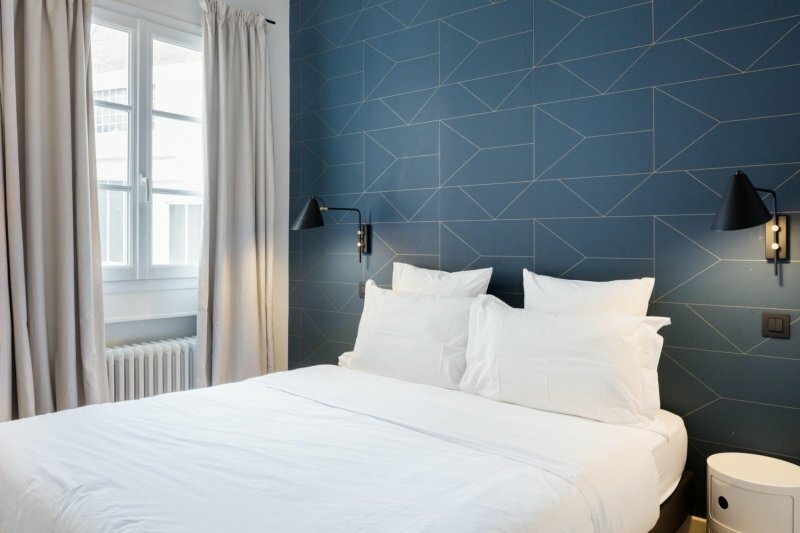 With a stay at any of these Paris Airbnbs, you’ll definitely have a hard time bidding France au revoir.